The special CBI court in Ranchi sentenced RJP chief Lalu Prasad Yadav to 14 years of imprisonment in the fourth fodder scam case, Dumka treasury and Rs 30 lakh penalty. The CBI special court on 19 March pronounced Ranchi pronounced Lalu Prasad Yadav 'guilty' in the fourth case of Dumka Treasury. The conviction has been made under 120-B (criminal conspiracy), read with 419, 420, 467, 468 (pertaining to cheating, forgery etc) of Indian Penal Code and PC Act. A fine of Rs 60 lakh has also been imposed. Special CBI Judge Shivpal Singh pronounced the judgement through video-conferencing. The RJD chief Lalu Prasad is currently admitted to RIMS hospital due to health concerns. "The judge has ordered that both sentences will run consecutively,” The judge has ordered that both sentences will run consecutively,” CBI counsel said. Lalu Prasad has been sentenced seven years jail under IPC sections and seven years imprisonment under sections related to PC Act. The court has pronounced Former Bihar CM Jagannath Mishra 'not guilty'. This is the second case in which Jagannath Mishra was not found guilty. Prabhat Kumar, Lalu Yadav's lawyer on sentence in Dumka treasury case, says imprisonment of 7 years each has been given under IPC & Prevention of Corruption Act, both to run concurrently. Total fine will be Rs. 60 lakh. Sentence of previous case to also run concurrently. Former Deputy CM, Tejashwi Yadav speaking on Lalu Yadav sentenced to 7 yrs in prison in Dumka treasury case, said "We will challenge it in HC. We Will decide further strategy on basis of overall judgement in all 4 cases. I am sure there is threat to Lalu Ji's life, looking at the conspiracy being planned by BJP." Lalu Yadav has been previously convicted in other fodder scam cases and is currently serving jail sentences. This the fourth case against the RJD chief related to the Dumka Treasury scam is a fraudulent withdrawal of Rs. 3.13 crore from December 1995 to 1996 from the Dumka Treasury. The Seven accused in the Dumka Treasury case have been acquitted are including former CM Jagannath Mishra. others are Adheep Chaudhary, Ajit Kumar Verma, MC Suvarno, Benu Jha, Dhruv Bhagat, Lal Mohan Prasadh. In the fourth case of Fodder Scam, Dumka Treasury, 19 accused are pronounced guilty and 12 acquitted. Till now, 4 out of 6 cases in Fodder Scam Lalu has been pronounced guilty. 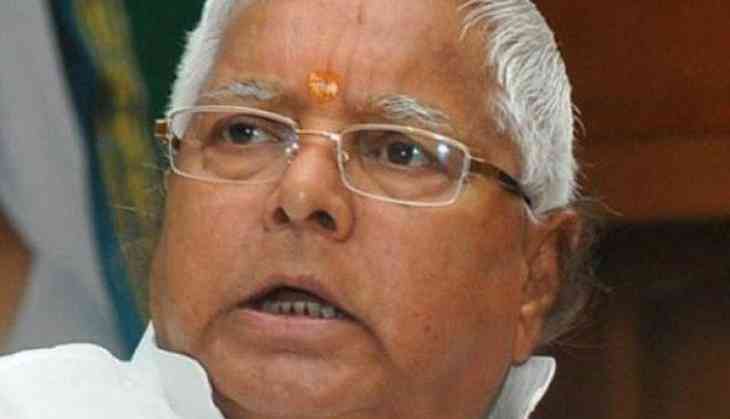 The RJD chief Lalu Yadsv was convicted in the third case on January 24 and awarded a five-year jail term.